Sin City Stamps has several new products now! 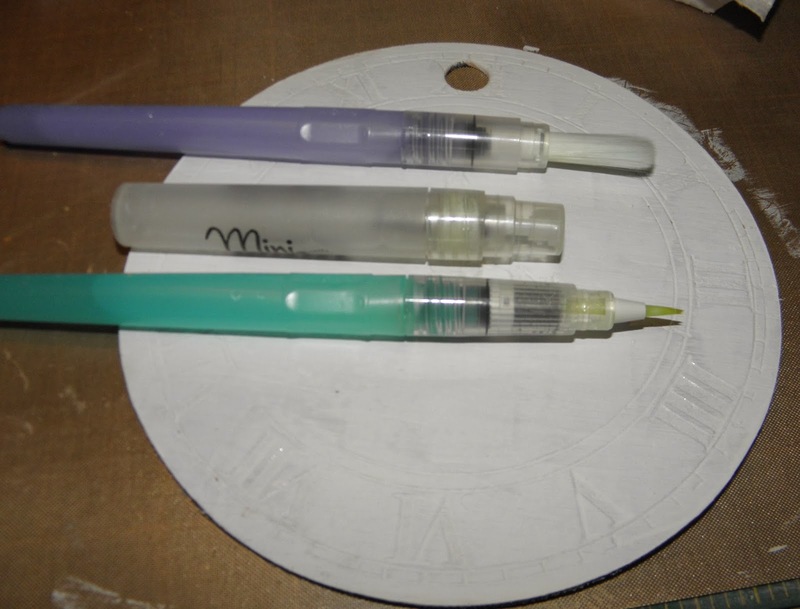 In addition to their awesome stamps, they now carry stencils, masks, chipboard and die cuts! And I got to work with this gorgeous Wood Clock Book!! I only decorated the cover. It includes a blank circle of wood for the back!! Gather your supplies. To begin, use the Inka Gold Rub on the wood surface. 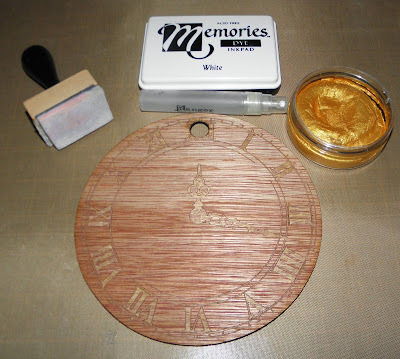 I rubbed the gold into the etched numerals and the clock hands. 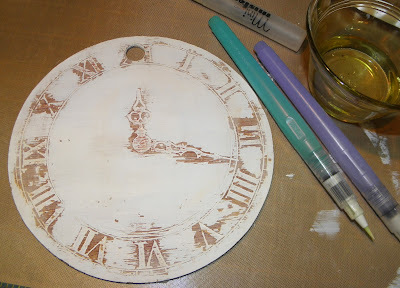 Then, I applied several coats of white ink and let it dry. The ink is water soluble and the rub is waxy so it resists the ink. Using a waterbrush, or a wet wipe, start removing the ink from the numerals and the hands of the clock. I also removed some of the ink from parts of the clock to give it that aged look I wanted. How cool is that? 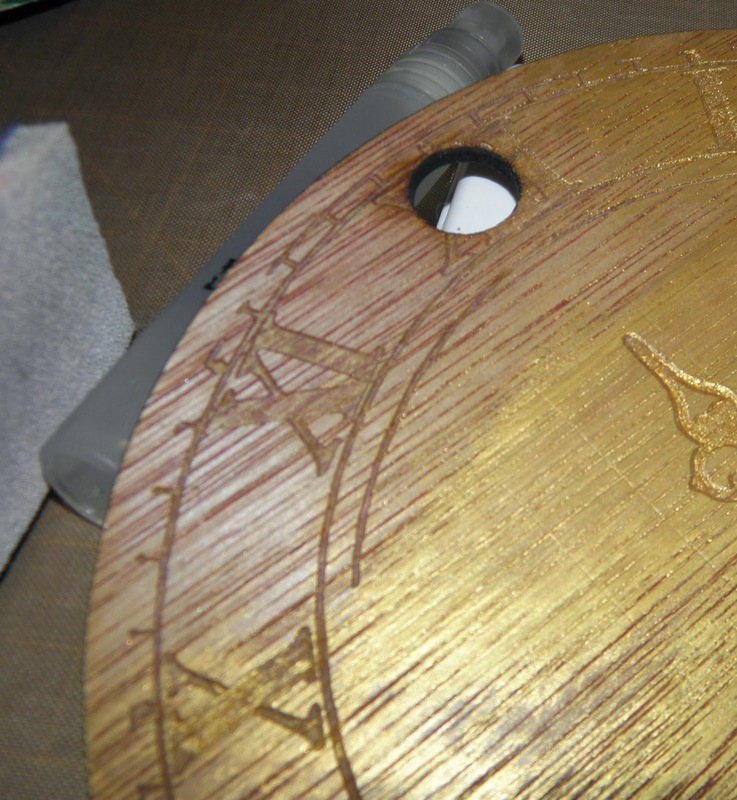 I love how the wood and the gold is revealed after the white ink is "washed" away! 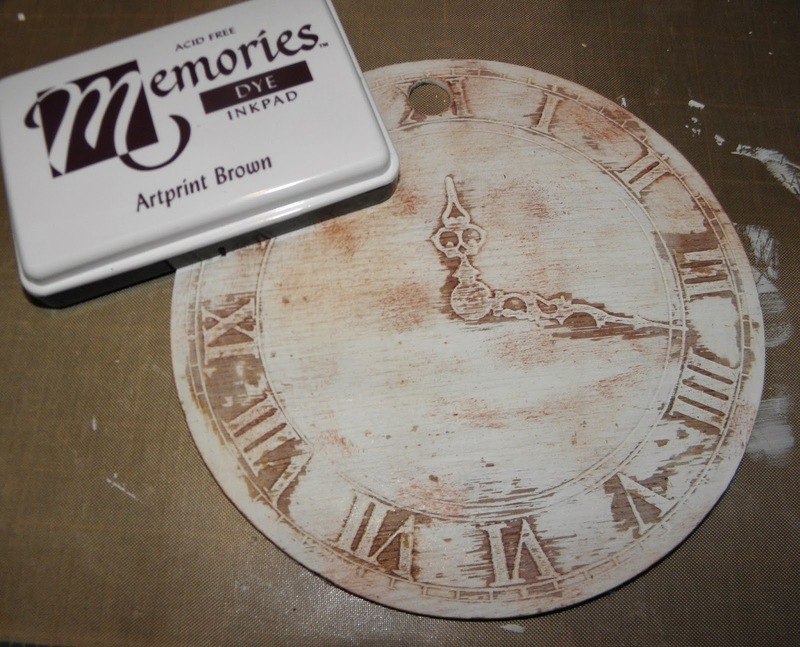 Rubbing a bit of the brown ink over the clock will bring out more of the detail. Embellish the front as you wish! 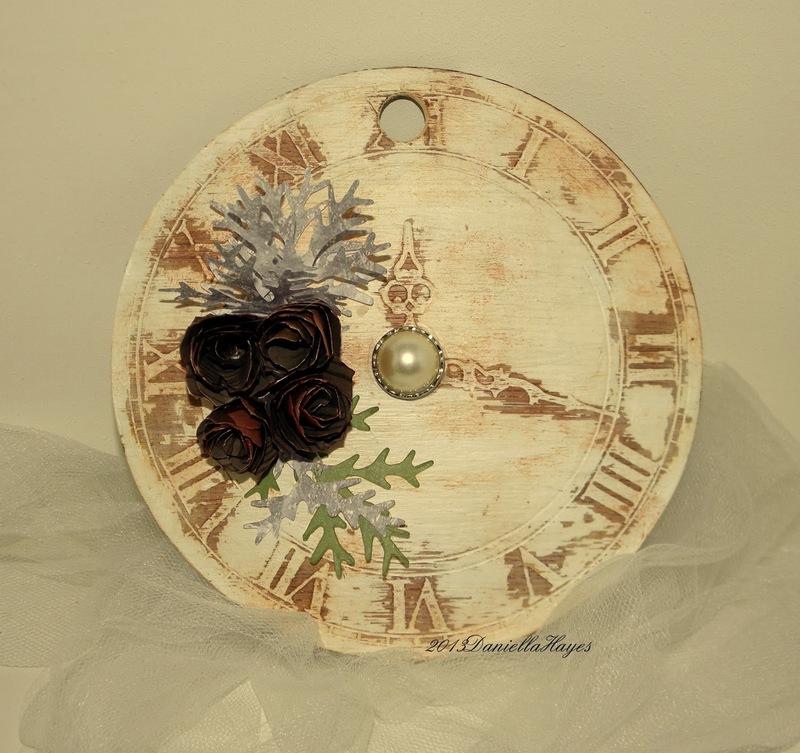 I added a pretty button, pine cones and leaves. I hope you enjoyed this tutorial! 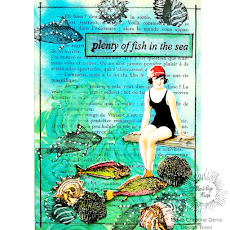 Please visit Sin City Stamps and see all the new items!! OMG, this is absolutely stunning Danielle, so totally lovely, vintage and gorgeous!! Now I really can't wait for my package to arrive, LOVE THIS!!!! Stunning Danielle, love all of the fabulous details.